Get cash out from the equity in your home. Put the equity you built in your home to use with our home equity line of credit. Line of credit loans have a variable rate that is based on the Wall Street Journal Prime Rate. The line of credit rate is subject to change January 1st and July 1st. 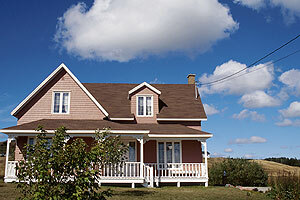 Second mortgages offer several advantages over other types of borrowing. Interest rates are fairly low, particularly when compared to credit cards or other unsecured loans. Moreover, the rate on Second Mortgage loans is fixed, so you will have security against rising mortgage rates and higher payments.